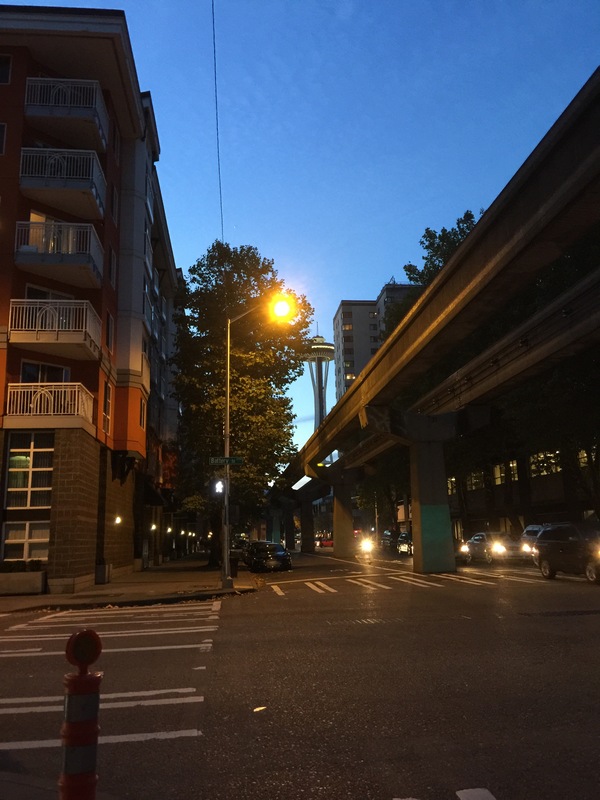 I finally made my way to Seattle; it had been on my list of places to visit for a while. It was so green! I’ve never been so happy to see trees in my life. 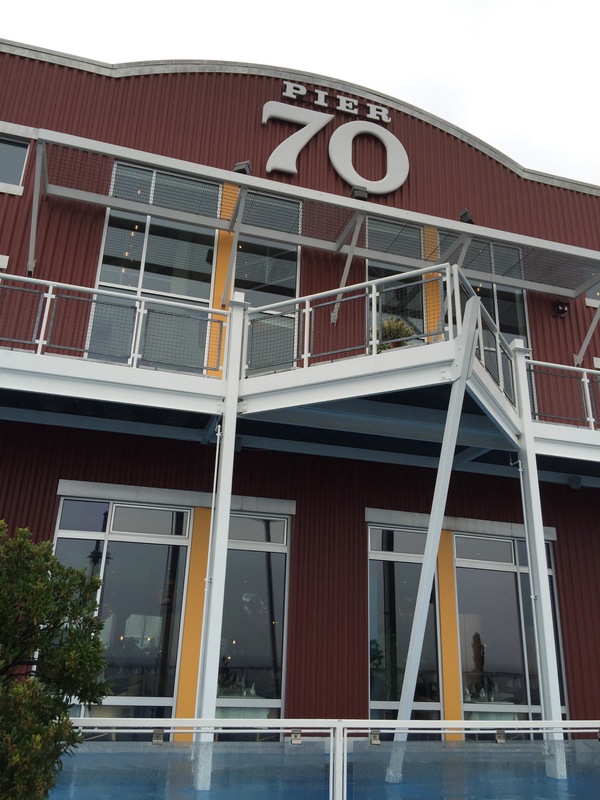 Of course we hit the touristy, iconic Seattle spots…let’s reminisce! 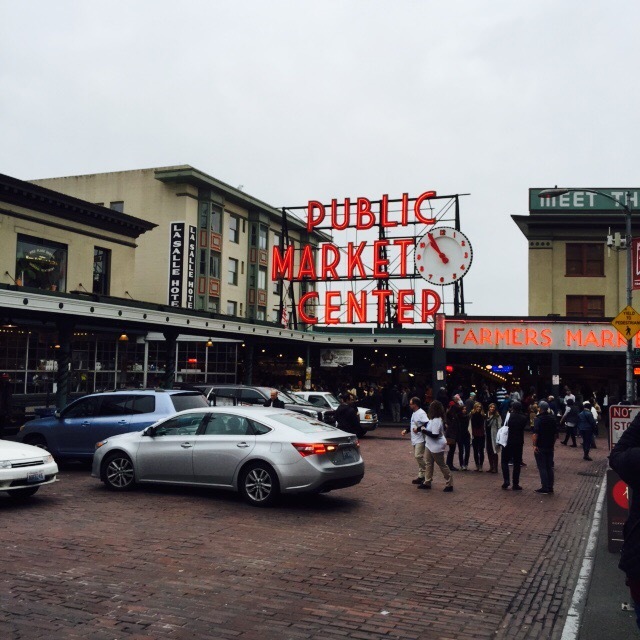 I love me some farmers markets and Pike Place Public Market delivered. Their produce looked so good they almost looked fake, they had a handmade section with local artists selling their work, and my fiancé was excited to see the seafood guys throw fish around. 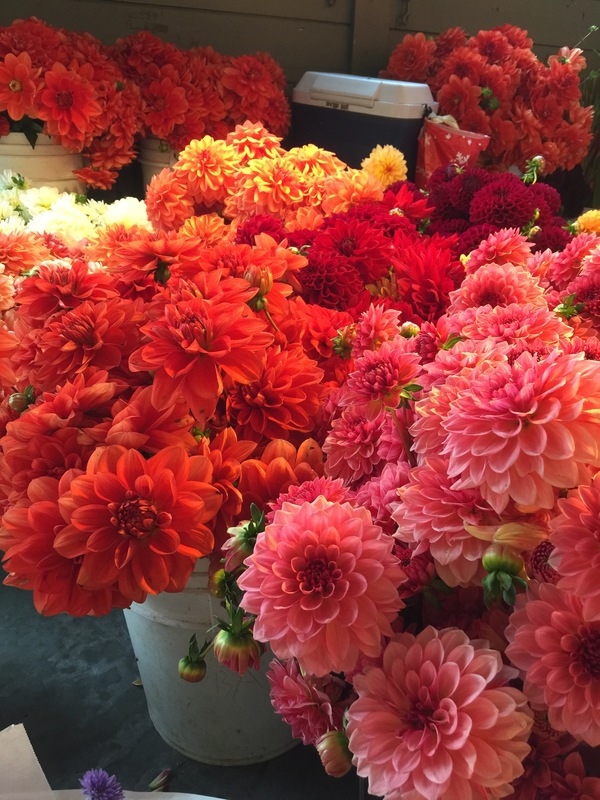 I was impressed with the floral selection — it was dahlia season! You could buy a bouquet of flowers for as low as $5. And I did. I so did. We had a cute floral display in our hotel for our stay. 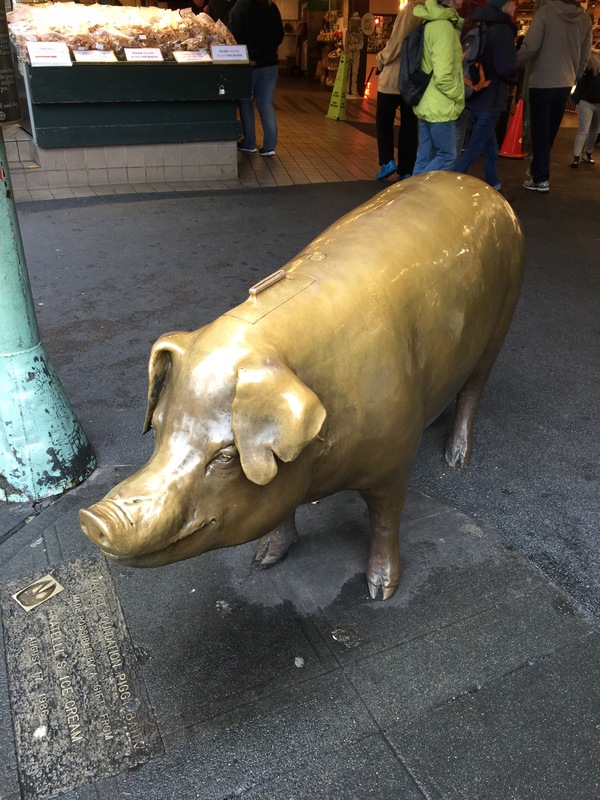 Across the street, you can check out the first Starbucks, and all around you can find pig statues. Apparently, taking pictures next to ‘Sue‘ is a thing, so I joined in the festivities. Sue, statue? 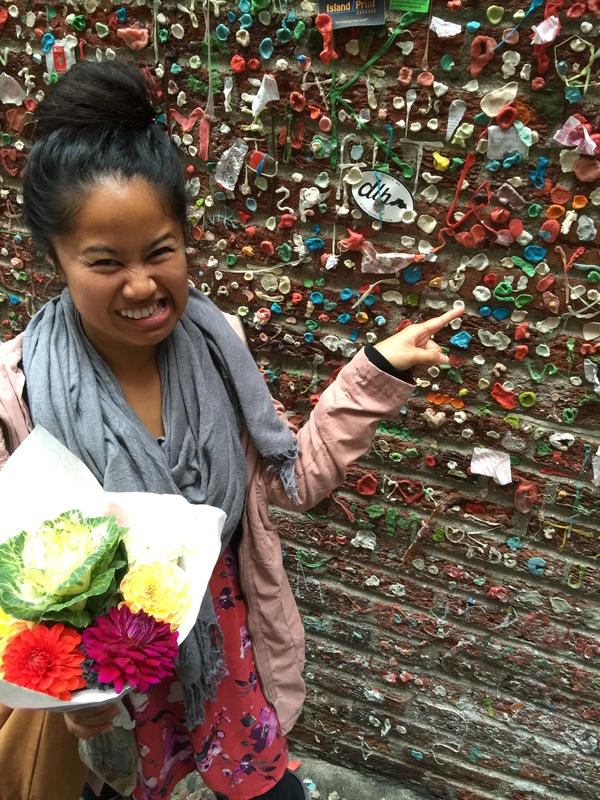 We found the gum wall. I’m glad we got to see it in all it’s gross glory before it was removed. And, bonus, I happened to have gum in my purse so I was able to contribute a chewed up, saliva-covered gum piece to the wall. Now, I am a certified germaphobe, but you have to admit, this wall is pretty fantastic…as long as you don’t touch it. Admiring the Space Needle from afar was more fun than checking it out close up. Plus, we could take paparazzi-like photos and pose like it’s a burger. We opted out of heading to the top because we got some great views of the land from our seaplane excursion. More on that in an upcoming post. Oh, and we couldn’t forget visiting the site of the Real World Seattle house. I’m not actually sure if this is the right pier, but it was fun to stroll by anyway. Have you adventured to this part of the Pacific Northwest? Share your must-see list below.